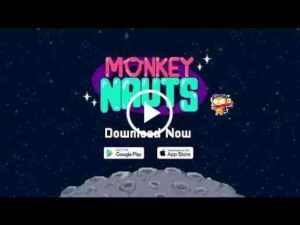 Monkeynauts : This a clicker game… in outer space! Players embark on a journey to meet new species of monkeys, claim rewards for completing missions and discover new pixel art planets. Gather two of the same monkey species and make them evolve. Buy upgrades and power ups at the store and accelerate your expedition. With Dr. Arlo’s help, launch rockets into the monkeyverse and discover the hidden mysteries of the galaxy. No man has reached the ends of the universe, how far can YOU get? Finally updates and there’s nothing? I’m confused. A wonderful and adorable game that totally becomes addictive! Very fun and addictive and would definitely recommend! Adorable and addictive as heck! It’s so cute. It is a free game, and I’m sure its developers need to eat every three days or so, so it does have ads. BUT they feel fair? Never, NEVER have I ever felt like “yeah, fair enough I can watch an ad for that” but Monkeynauts done did it. It doesn’t get in the way of the actual game play, it feels like a fair boost. This is what free mobile games should be like. I am overjoyed by not feeling like a game is taking advantage of my addiction prone personality. I love it. I didn’t think a game about monkey astronauts would be this cute. i was mistaken! It’s insanely cute! Great clicker, really gives a new perspective to how idle games should work. This game is really fun and has no glitches. But, there are just a little too much ads. Cute graphics and Its an easy game. But even though its easy and simple its still addictive. First release of Monkeynauts by HyperBeard & Pocket Rocket… teaming up to rule the monkeyverse! IMPORTANT: It takes time to transfer over everything from one account to another so please be patient. If you have any feedback, as always please let us know at monkeynauts@hyperbeard.com.